Five fab free ed tech tools!! Whilst I recognise that we shouldn’t always expect tools and services completely free of charge, there are many great tools that can be used in the primary school free of charge! Skype – check out the Skype in the Classroom site here. Great for inspiring ideas, connecting with all kinds of experts. I have a couple posts on this site describing my Skype Adventures! 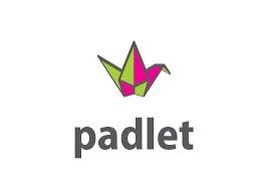 Padlet – a great tool for collaboration and sharing ideas. The ‘walls’ can be embedded into a blog, and then be accessed from home. Also great for use in staff meetings to collate ideas. Haiku Deck – a really great free presentation tool that is also an app. 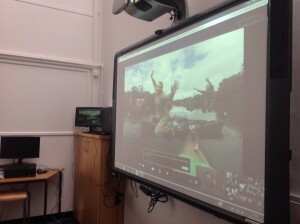 Super easy to use, and with a very different feel to PowerPoints – the images are great, and because it can be logged on over different devices can also be used for collaboration and critique. Scratch – the darling of the Primary Coders at the moment, I have written about a couple of projects here, and there is lots of advice at the fantastic Code-It.co.uk website. Twitter! I can’t stress enough what great CPD can be found on twitter – and for beginners there is a great guide here from the Bring a Teacher to Twitter group and a great guide for beginners here. I really could go on… But thought 5 for teachers to investigate would be a good start! Would love to hear of your favourite free tools. Posted by RS on April 24, 2014 in Teaching and Learning and tagged classroom, Curriculum, scratch, Skype, technology. I would like to recommend http://www.learnclick.com for creating quizzes. There is a free version. Thanks! Will take a look!